The twenty-first century could be called the 'Multifunctional Materials Age'. The inspiration for multifunctional materials comes from nature, and therefore these are often referred to as bio-inspired materials. Bio-inspired materials encompass smart materials and structures, multifunctional materials and nano-structured materials. This is a dawn of revolutionary materials that may provide a 'quantum jump' in performance and multi-capability. This book focuses on smart materials, structures and systems, which are also referred to as intelligent, adaptive, active, sensory and metamorphic. The purpose of these materials from the perspective of smart systems is their ability to minimize life-cycle cost and/or expand the performance envelope. The ultimate goal is to develop biologically inspired multifunctional materials with the capability to adapt their structural characteristics (such as stiffness, damping and viscosity) as required, monitor their health condition, perform self-diagnosis and self-repair, morph their shape and undergo significant controlled motion over a wide range of operating conditions. Inderjit Chopra University of Maryland, College Park. Dr Inderjit Chopra is an Alfred Gessow Professor in Aerospace Engineering and Director of the Alfred Gessow Rotorcraft Center at the University of Maryland. 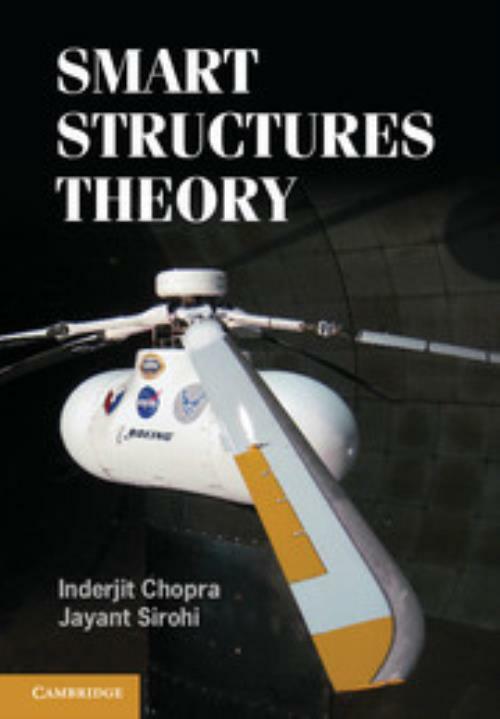 Dr Chopra works on fundamental problems related to aeromechanics of helicopters including aeromechanical stability, active vibration control, modeling of composite blades, rotor head health monitoring, aeroelastic optimization, smart structures, micro air vehicles and comprehensive aeromechanics analyses of bearingless, tilt-rotor, servo-flap, coaxial, compound, teetering and circulation control rotors. Dr Chopra has authored more than 160 archival journal papers and 260 conference proceedings papers. He has been an associate editor of the Journal of the American Helicopter Society (1987�1), the AIAA Journal of Aircraft (1987�resent) and the Journal of Intelligent Materials and Systems (1997�resent). He has been elected Fellow in the following societies: the American Institute of Aeronautics and Astronautics, the American Helicopter Society, the American Society of Mechanical Engineers, the Aeronautical Society of India and the National Institute of Aerospace. Jayant Sirohi University of Texas, Austin. Dr Jayant Sirohi is an expert in high power density solid state actuators, multifunctional structures, multi-mission capable micro/unmanned aerial vehicles and rotorcraft design. He is a professor in the Aerospace Engineering and Engineering Mechanics Department at the University of Texas, Austin. Dr Sirohi had previously worked at Sikorsky Aircraft Corporation where he was a Staff Engineer in the Advanced Concept group.